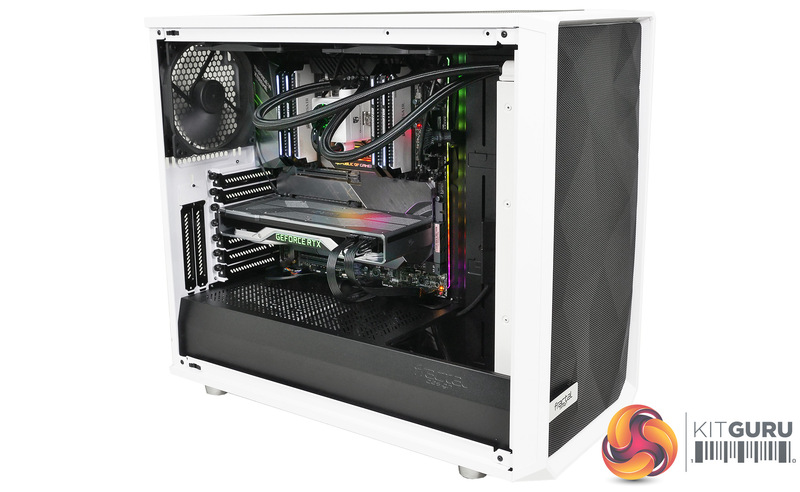 Let us be clear, the title for our review of the Fractal Design Meshify S2 is intended to be a humorous play on the word Meshify as that is the key new feature of this version of the Define S2. Fractal has not messed up the S2. 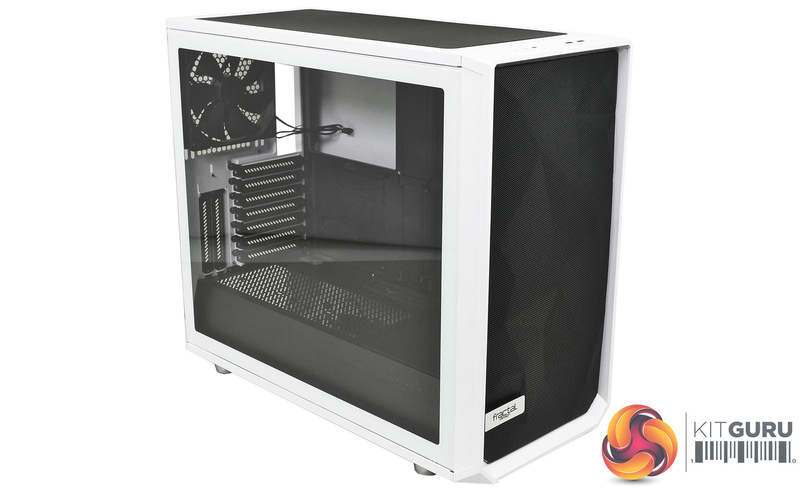 We have previously reviewed the ATX Define C which was closely followed by the Meshify C with its heavily ventilated front panel. 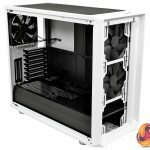 After that Fractal launched the E-ATX Define R6 and then the mATX Meshify C Mini. 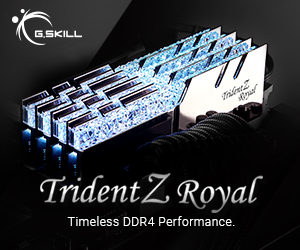 The most recent move was the launch of Define S2 which is effectively a Define R6 that is supplied with the interior in open mode that is ready for loads of liquid cooling. 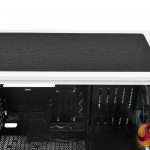 The Meshify S2 we are reviewing here takes elements of those previous cases and slaps a Meshify front panel on the Define S2. In other words we have seen all these elements before, although this particular combination of parts and features is new. 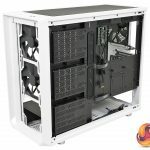 If you think of the Meshify S2 as a larger version of Meshify C you will get confused, however if you approach this case as a Define S2 with a Meshify front panel then everything will become clear. Modular high-airflow open layout design. Stealth inspired angular mesh ventilation. Seamless, bolt-free tempered glass (TG versions only). Push-to-lock latching on both side panels for easy access. USB 3.1 Gen 2 Type-C with fast charge support and speeds up to 10Gbps. Built for advanced liquid cooling with adjustable reservoir brackets, pre-drilled pump mounts, and an innovative removable top bracket with dedicated fill port. 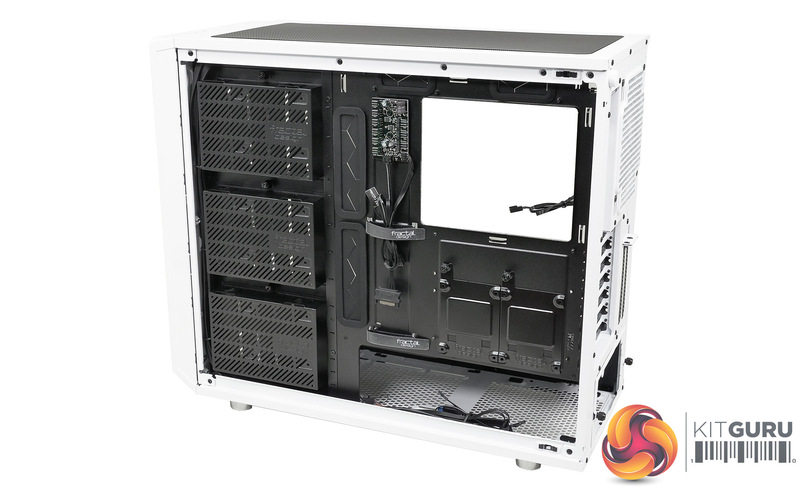 Nine fan positions with clear airflow paths for massive cooling capacity. Support for radiators up to 420 mm in the top, 360 mm in front, and 280 mm in the base. 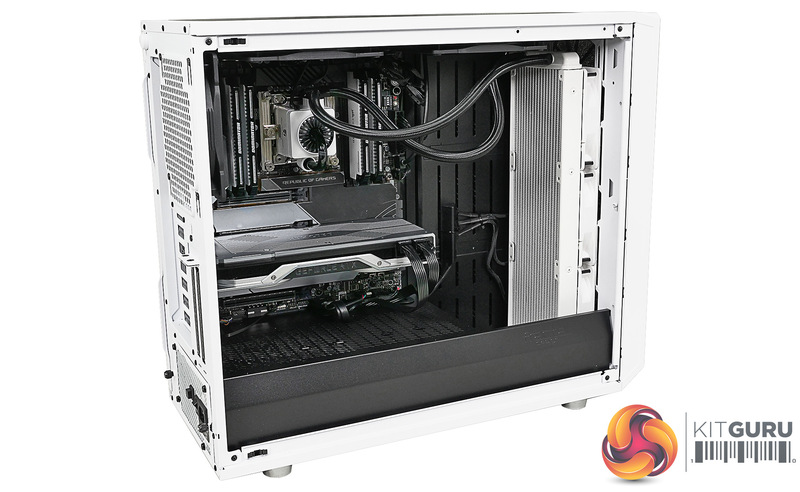 Full-length ventilated PSU shroud with removable front cover and alternate SSD mounts. Vertical 2.5 slot GPU support using the Flex VRC-25 vertical PCIE riser (sold separately). Concealed drive mounts for two SSDs and three HDDs with vibration dampened enclosures. 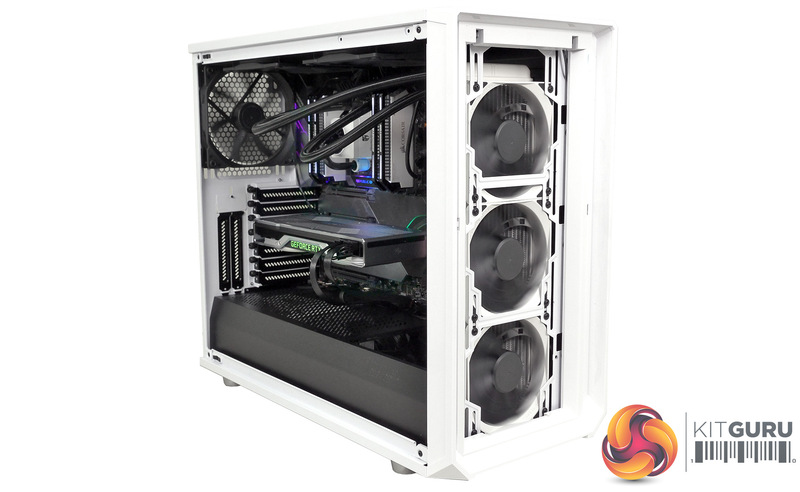 Three Dynamic X2 fans pre-installed as dual intakes and rear exhaust for balanced airflow. 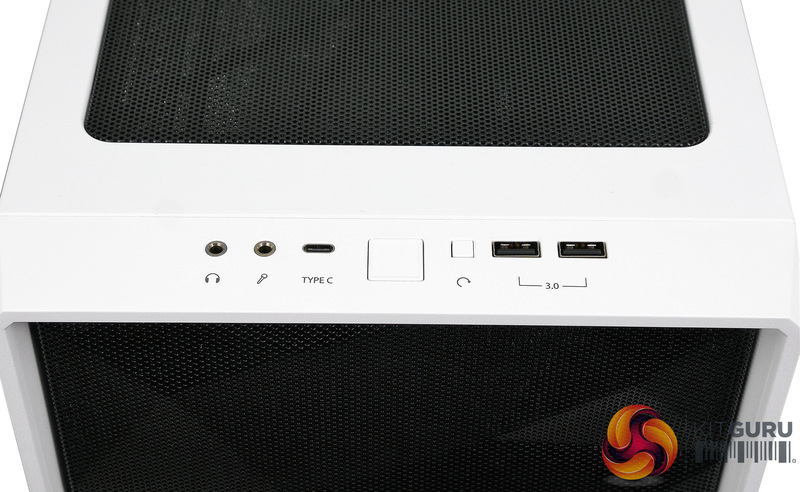 Nexus+ Smart Hub allows motherboard control of up to three PWM devices and six case fans. 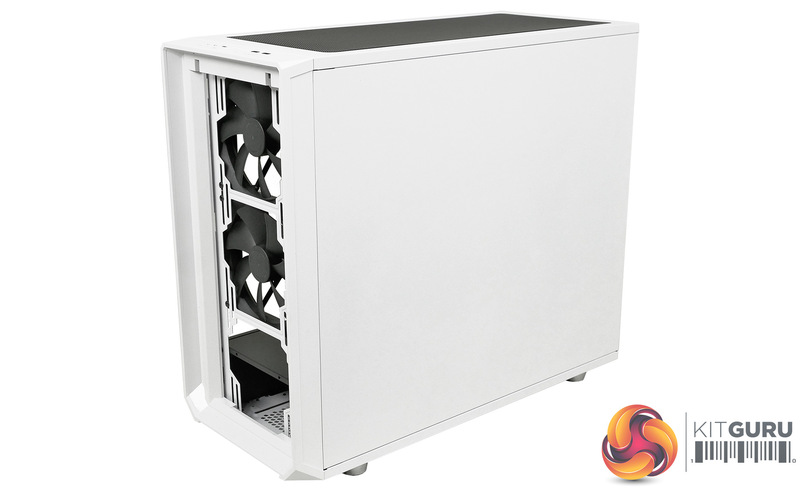 Easy to clean front, top, and base filters with full PSU coverage and convenient front access. Included fans: 2x 140mm Fractal Design Dynamic X2 GP-14 front intake, 1x 140mm Fractal Design Dynamic X2 GP-14 rear exhaust. Fan mounts: 3x 120mm/140mm front, 3x 120/140mm roof, 1x 120mm/140mm rear, 2x 120mm/140mm floor. 140mm radiator mounts: 140mm/280mm front (Max width 147mm), 140mm/280mm/420mm roof, 140mm/280mm floor. Internal drive bays: 3x 3.5-inch/2.5-inch, 2x 2.5-inch. 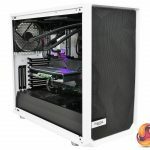 Every significant feature and styling choice of the Meshify S2 has been carried over from the Define S2, so you might want to refresh yourself with that review. The obvious exception is that the front I/O panel is now fixed to the front panel, rather than to the core chassis. This is slightly annoying but just about understandable. 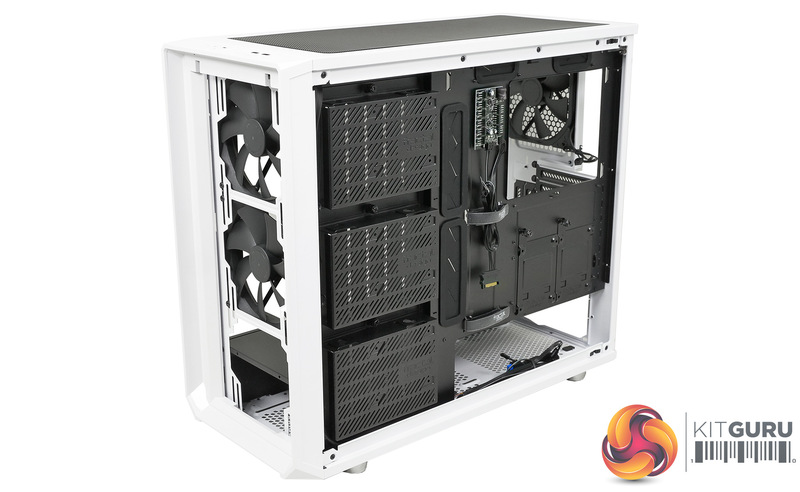 With the Define S2 you pull off the entire front panel in one unit to gain access to the fans at the front of the chassis, and also to pop the two dust filters out of the front panel so they can be cleaned. 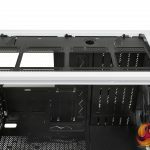 Fractal Design took the sensible decision to mount the I/O panel on the core chassis which means the front panel comes away cleanly. 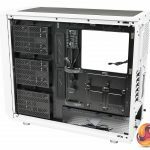 By contrast with the Meshify S2 you only remove the Meshify filter panel and leave the front frame in place, so it should not matter that the front I/O is now part of the front panel. Well … no, we don’t see it like that. When you’re building your PC and remove the various panels it makes life easier if you can simply pull them away and don’t have to bother with the cables. ‘Aha,’ you say, ‘surely that doesn’t apply to a new build as the front panel cables aren’t attached to anything’. 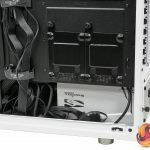 In fact the cables are secured to the chassis by a number of twisty ties (we counted six) and it is a similar situation with the two 140mm X2 fans at the front of the case. You have no choice about it and are required to do a certain amount of dismantling before you start your build. 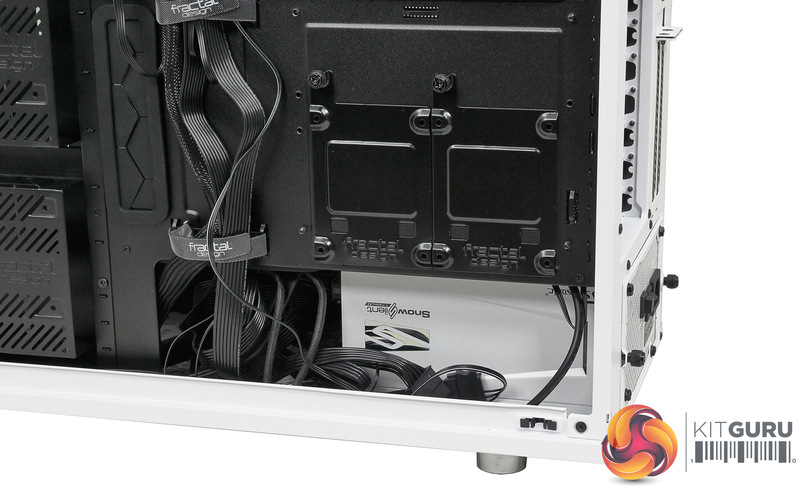 As we say in our video, it is annoying that the front panel is tethered by cables but the wider concern is that you are unable to simply Meshify your existing R6 or S2 case. To put this case through its cooling paces we will be using a test system consisting of an Intel Core i9-7920X, RTX 2080 Founders Edition and an SSD. This system allows us to produce a substantial amount of heat and effectively test the Fractal Design Meshify S2‘s cooling capabilities. Before we could install the 360mm GamerStorm AIO at the front of the case we first had to remove the two Fractal X2 140mm fans. Naturally we did not want to see them go to waste so they got moved to the roof of the case as exhaust fans. All fan profiles were set in the BIOS to run in Standard mode. 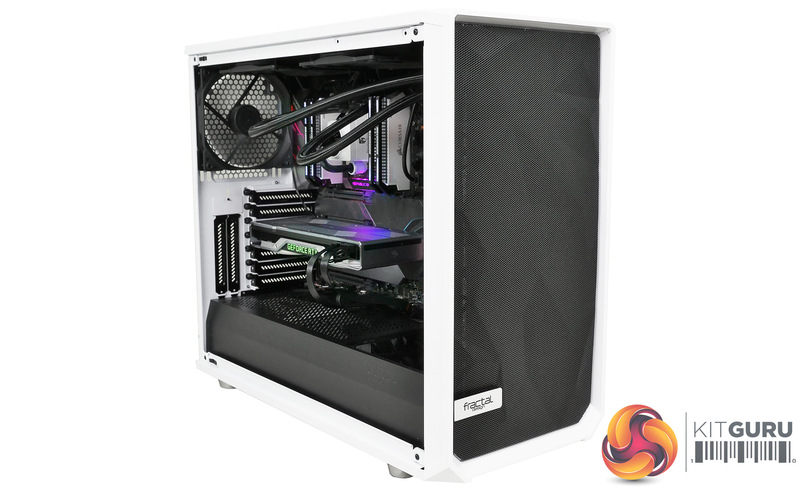 We tested the Meshify S2 with the front panel closed in the regular way and then with the Meshify filter removed. 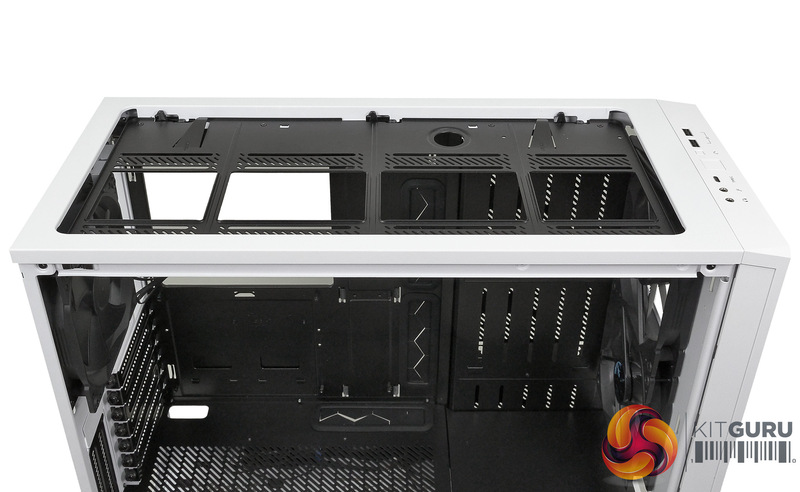 As a third test we removed the front panel and snapped the Define S2 panel in place to see just what difference you get with Meshify. 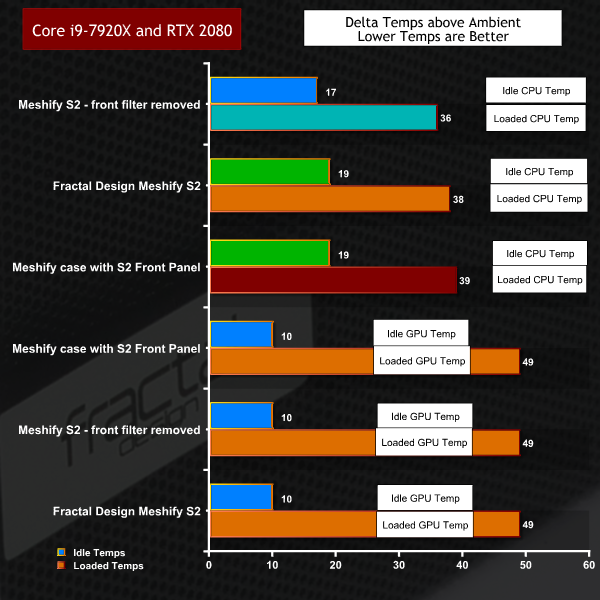 The temperature of the GPU didn’t change at all from one test to another and the Core i9-7920X changed by two degrees C. We can state that Meshify does indeed flow more air than Define R6 or S2 but the difference is very slight and nowhere near as much as we would have expected. During our testing the fan profiles were set to Normal which kept temperatures slightly lower than the Silent profile, while making a minimal difference to perceptible sound levels. 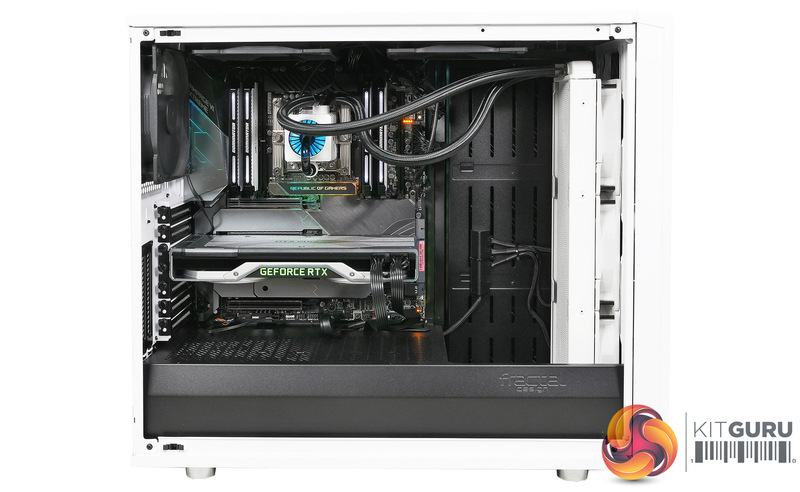 Ramping up fan speeds to Aggressive or Full Speed resulted in a noisy PC and highlighted the point that you have a large glass window on one side while the other side panel has no noise deadening material. 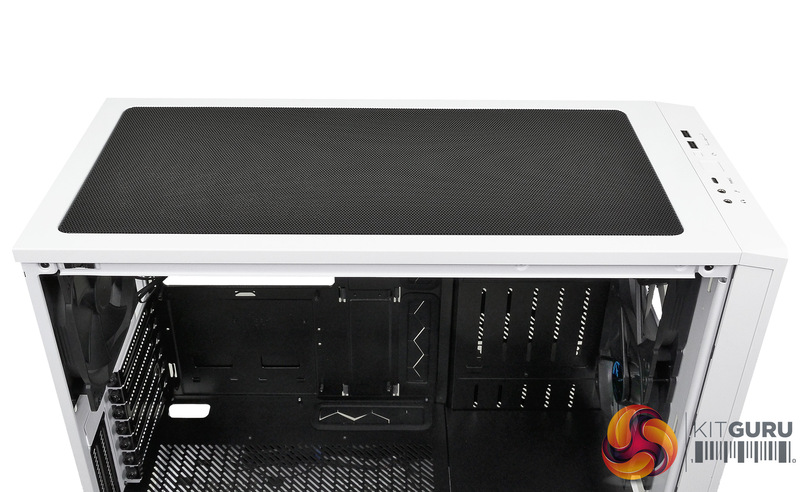 The other panels are heavily ventilated (with filters) and that means the Meshify S2 can easily become noisy. 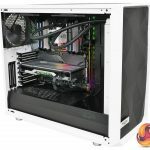 Fractal Design has created a number of models that use the same core chassis and while the Define R6, Define S2 and now the Meshify S2 are all perfectly decent, they fail to get the blood rushing. The snag for Fractal Design is that the world has made progress. 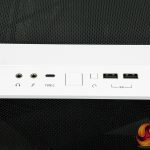 For example Lian Li brought out the PC- O11 Dynamic with its ability to support three 360mm radiators, which has obvious appeal for liquid cooling aficionados. 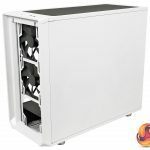 Another problem for Fractal is that Phanteks has brought out the Evolv X which, while being more expensive than Define S2, shows that your PC case can be considerably more than a box that holds your components. 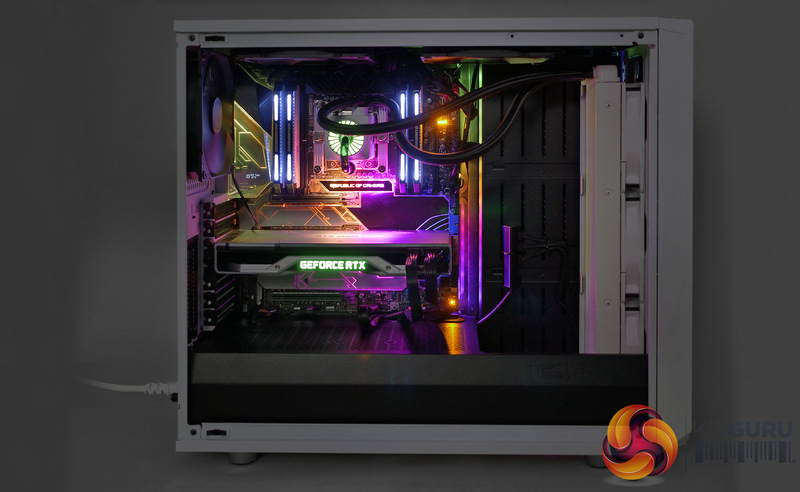 In our video we referred to Fractal’s lack of RGB lighting. 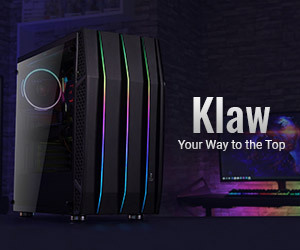 That was not meant as a call to them to immediately build RGB into their cases but more of an observation that most manufacturers try to distinguish their cases in one way or another. 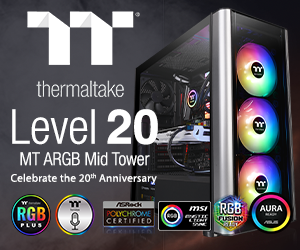 Thermaltake goes for big (huge!) cases, be quiet! 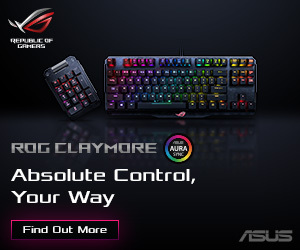 emphasises low noise levels, Corsair and Cooler Master have massive ranges that fill every niche in the market and In Win comes out with show stoppers that grab attention at Computex and CES. 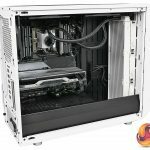 Fractal Design has a certain style and approach to design and the absence of RGB pretty much sums it up. Some people will see this as a welcome oasis of sanity in a world that has gone RGB crazy. 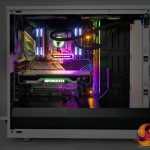 Your reviewer can understand that Fractal Design has decided to give RGB a miss, however this means that you define (ho ho) Fractal design by what you don’t get with their cases. 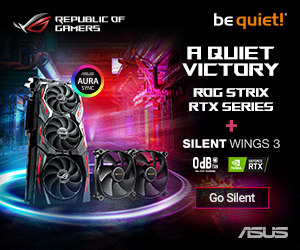 You don’t get RGB, you don’t get noise deadening material, you don’t get RGB fans and heck, you don’t even get PWM fans. Those are all reasonable decisions, provided the price is low, however Fractal is charging a premium and it is not clear what you get in return. Fractal Design does many things well. Their user guides and accessory packs are very good and their glass main panels are superb, however we have come to expect that from mainstream products these days. You can blame Phanteks for that with first the Pro-M and then the Evolv. 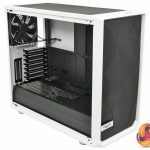 Fractal Design Meshify S2 is a decent case, however the design team needs to look around and notice that other companies are making progress. We can all name case companies that were once superb and then slipped into the doldrums. 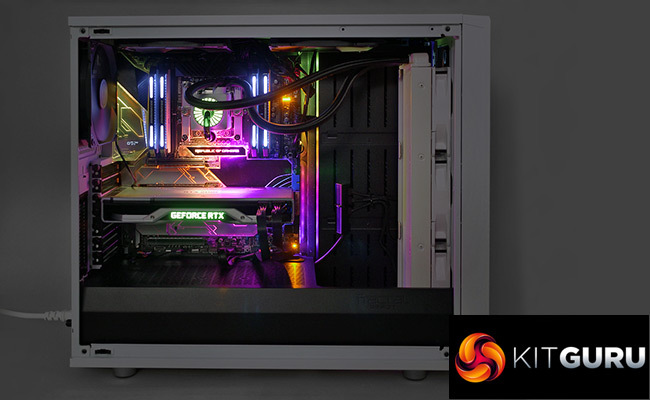 It would be awful for Fractal to go that way and we have to hope they will deliver some stunning new cases at Computex 2019. 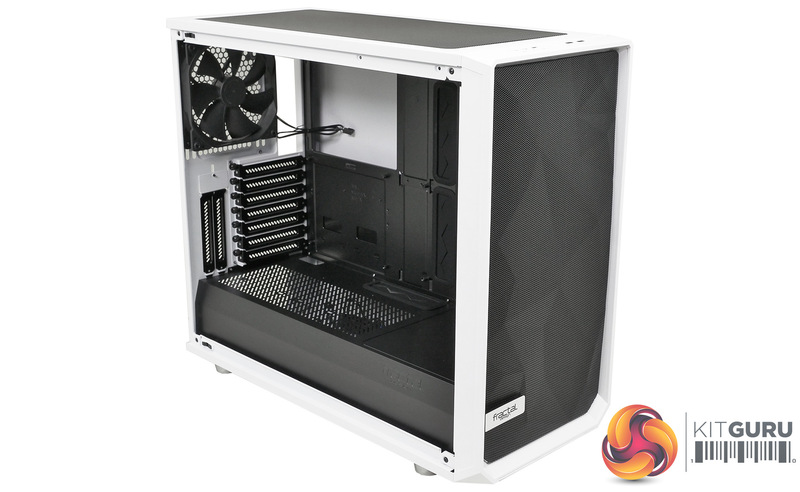 You can buy the Meshify S2 for £139.99 from Novatech HERE. The full panel glass shows off the interior superbly. Supplied with three 140mm fans (but sadly not PWM). Define S2 is showing its age and could use an overhaul. The front panel is tethered by cables for the I/O unit. The Meshify front panel makes little difference to air flow. The price is rather high. 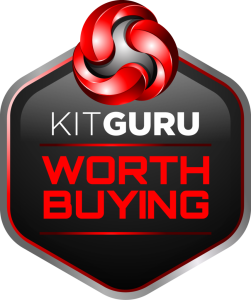 KitGuru says: Meshify S2 is a minor update of Define S2 that is more about looks than anything else.